Radiation Area Monitor Software Video Quick Start Guide - Radiation Detectors, Radiation Detection Equipment | Radiation Alert® by S.E. International, Inc. This video will walk you through The Radiation Alert® Area Monitor Software. Learn how to remotely monitor and configure the Radiation Alert Area Monitor via USB or Ethernet, view the area monitors in real time, and export collected data. 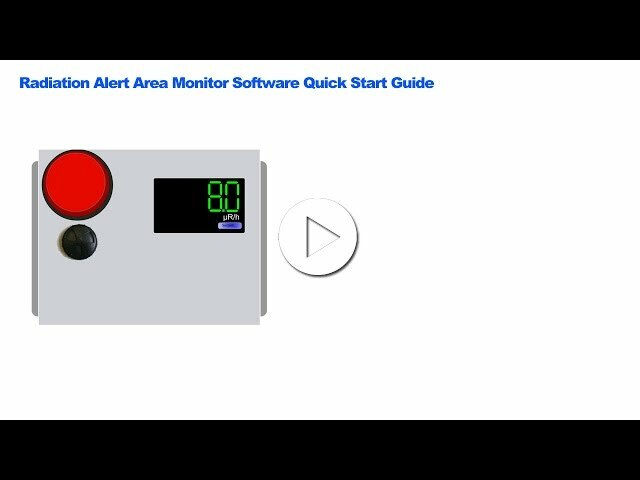 This video will walk you through the use of The Radiation Alert® Area Monitor Software. Learn how to remotely monitor and configure the Radiation Alert Area Monitor via USB or Ethernet, view the area monitors in real time, export collected data, and change the settings of the unit. The Radiation Alert® Area Monitor Software enables users to remotely monitor and configure the Radiation Alert Area Monitor via USB or Ethernet, view the area monitors in real time, export collected data, and change the settings of the unit.